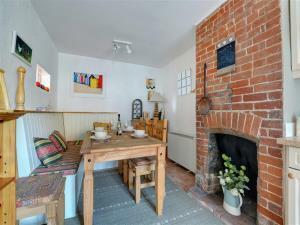 Gable Cottage01263 715779work01603 870304fax Self-cateringThis archetypal country cottage set in a peaceful rural location, is comfotable, well equipped and will suit families or adults wishing to enjoy village life in North Norfolk. Easy access to the coast, and the amenities of the local market town of Fakenham are close by. Other: Towels, Books and Games. Stairgate. Travel cot. Radio and clock radio. This archetypal country cottage set in a peaceful rural location, is comfotable, well equipped and will suit families or adults wishing to enjoy village life in North Norfolk. Easy access to the coast, and the amenities of the local market town of Fakenham are close by.